Help your patients to stay in touch with their doctors. This solution is suitable for post-hospitalization care and communication with patients living in a remote location. 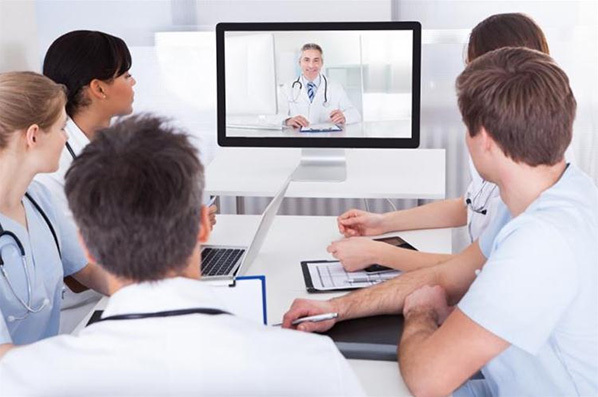 In case your experts need to discuss a complicated patient case and one or several experts are at remote location, you can use this solution to connect, so that you do not need to wait for all the participants to gather at one physical location for discussion. Do you need to share your knowledge with colleagues? Are your colleagues at a remote location? Then this solution is just what you need. 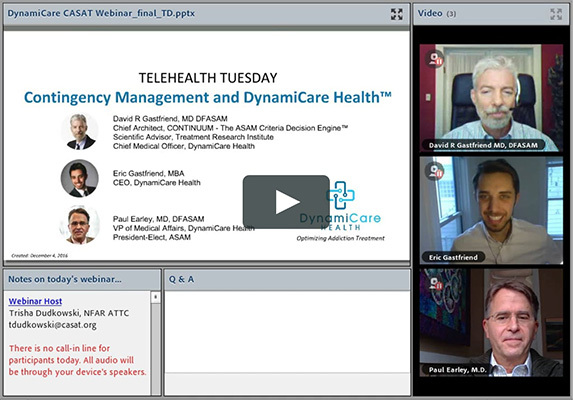 You can hold a medial webinar and make a record of it for those who cannot connect at the scheduled time. 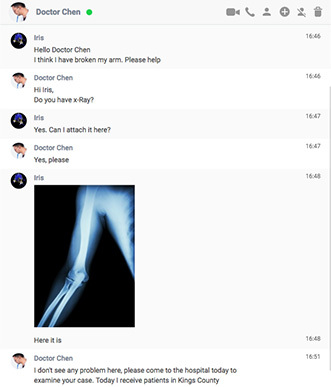 If a doctor is out of office, but one of his patients needs an urgent advice, you can set all chats of that doctor to be redirected to his colleague. Your patients will appreciate such care instead of waiting for their doctor's return. You might need to get a medical report about previous treatment or an X-ray from a patient or some test results from your colleagues to get a full view of the case. There is no need to meet in person with them now. Your patients or colleagues can send it as attachments to their messages. 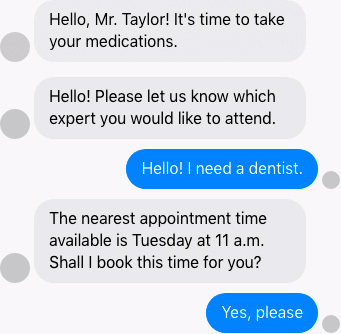 It's easy to remind your patients about the time to take medications with chatbots. You can save some time for the cases which really need your involvement. Chatbot will send the reminder for you at the scheduled time. Your patients might want to book an appointment online. 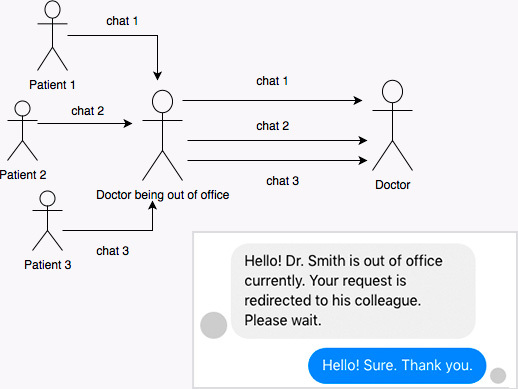 Chatbots can automate this process and save your time.